SugarPea Designs KNIT WIT Clear Stamp Set SPD-00247 at Simon Says STAMP! SPD-00247 This item is on reserve until If you would like to reserve this item now, you may purchase it now with the rest of your order. We will hold your order now and ship your entire order as soon as this item is back into stock. If you would like your order to ship now, please place this item on a separate order. 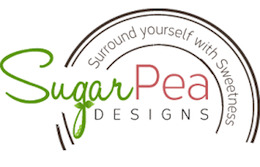 Success, SugarPea Designs KNIT WIT Clear Stamp Set SPD-00247 has been shared! Cool weather calls for warm and cozy cards. You’re sure to enjoy crafting sweet, and whimsical cards and/or packaging up your beautiful handmade creations in style with the yarn themed images and sentiments in this adorable 4 × 4 stamp set.